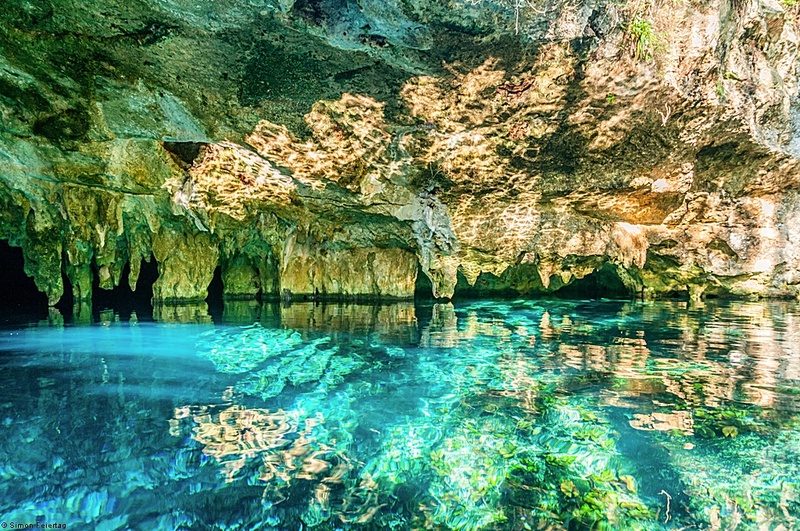 Cenotes are an excellent alternative for these hot summer days, its cool clear waters are ideal for swimming without being exposed to the sunrays. Visiting a Cenote is also ideal for a rainy days, as most of them are underground and unaffected by the rain. The Riviera Maya has thousands of attractions: beautiful beaches, enigmatic archaeological sites and natural parks throughout. In addition to these attractions, the Riviera Maya also offers beautiful cenotes; an unforgettable and unique experience. 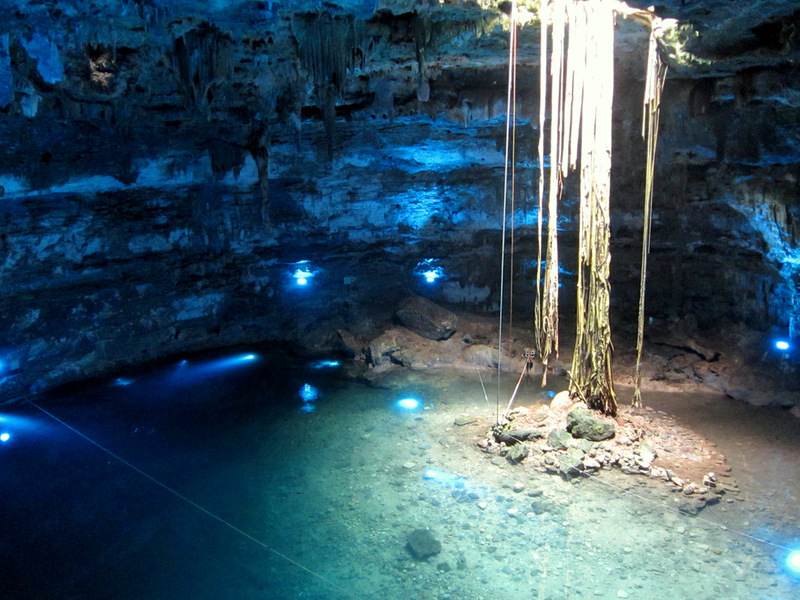 A cenote is access to the extensive system of underground rivers that crisscross the Yucatan Peninsula. The peninsula is formed mainly by limestone, which allows water to permeate rain and creating channels in the ground, creating these systems that provide all of the water for this region. 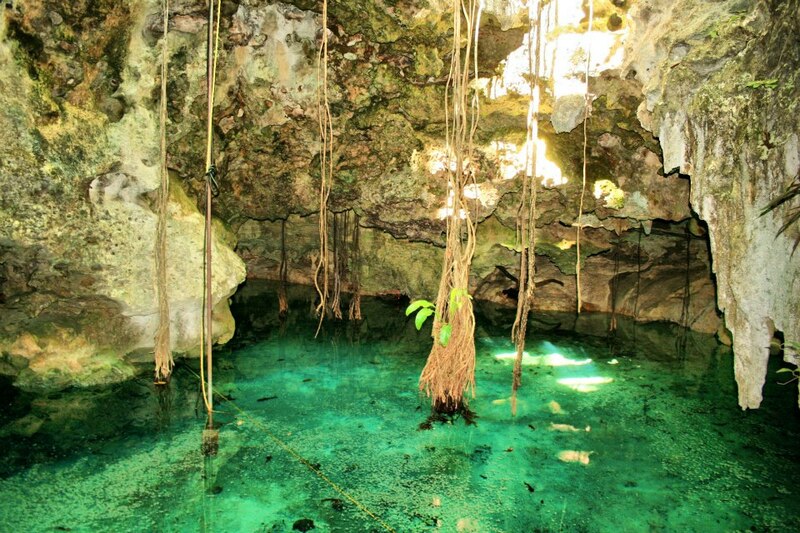 While there are many cenotes and all are different in color, shape, size and depth; They can be classified into 4 types. Caverns: They have an entrance on one side. This cenote offers fun for the whole family; as it has deep areas for adults and others with shallow water, suitable for children. This Cenote is a very popular attraction among tourists staying in Tulum, so it is better to visit early or mid-week to avoid crowds. This Cenote is a great destination for those staying in Playa del Carmen and looking for a tour without having to travel long distances, as it is located very close to the city center. The cost of entry is pretty cheap, for only 450 MXN Pesos the Cenote offers lockers, showers, wetsuits and other amenities. To visit this cenote you have to make a reservation in advance, but is ideal if you’re looking to enjoy a experience away from the crowds. Despite being a little known destination, Cenote Santa Cruz has received Certificates of Excellence from TripAdvisor for two consecutive years. The Cenote provides equipment such as lifejackets and guides services as well as specialized services such as private events, personalized dinners, etc. 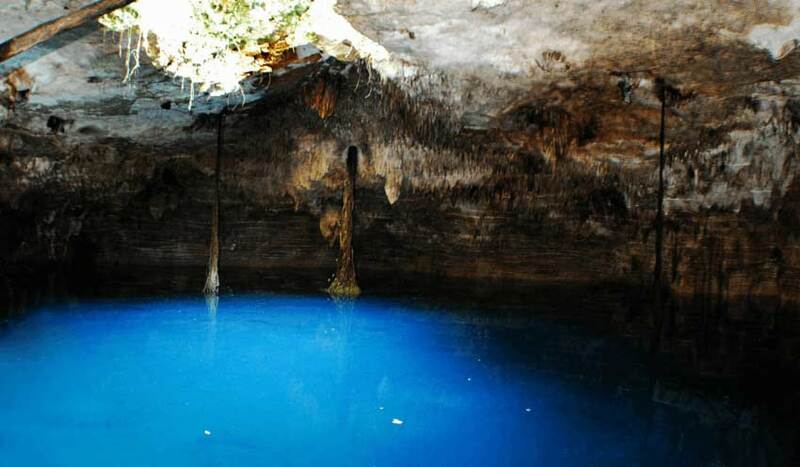 This cenote is located on the route of the cenotes, a secondary road that connects the town of Puerto Morelos with Leona Vicario and is surrounded by beautiful cenotes. Its proximity to Cancun and the Riviera Maya make it ideal for a day trip, where you can visit several cenotes on the same day. This is just a list of some of the most popular cenotes of the Riviera Maya, but it is up to you to discover your favorite. If you want to share information about another cenote that we should include in this list, please let us know! Mexico Relax aims to be the best source of information about life in the Riviera Maya. If you want to keep up to date with the best events, places and experiences, please follow our blog or like our Facebook page. This entry was posted in 1-English, Cenotes and tagged Cenote, Chaak Tun, Kin Ha, Nature, Santa Cruz, Touristy. Bookmark the permalink.